I am a self employed contract and training consultant in the construction industry. 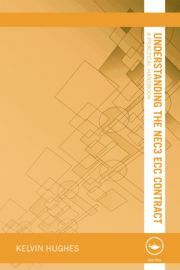 I am a leading authority on the NEC contracts, and to that end have several books published on that subject. I have also written several manuals and guides on other subjects. I find writing very relaxing and therefore as I approach retirement I am intending to widen my field of writing. I have been employed in the construction industry for 44 years, and in that time I have gained a lot of knowledge and experience of many aspects of construction, which I have been passing on to others over the years, either when they assist me, or in formal training sessions. I particularly enjoy teaching others. My specific expertise is in construction contracts, particularly delays, change management and dispute resolution. I enjoy reading and writing of any sort, also watching most sports. I have played the guitar and bass (on and off!) for over 40 years. I also enjoy spending time with our five grandchildren.